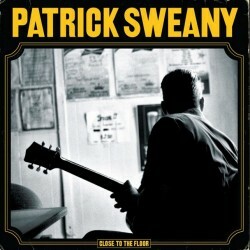 Debuted July 2013 "Close To The Floor" is an album of catharsis for the Nashville-based bluesman. The record reflects his response to the premature deaths of two family members. The Ep contains 10 tracks and we can hear Sweany's voice as it screams the pain and power from all genres of blues running from the southern swamps to the Great Lakes. It also makes you wonder what would have happened if Danger Mouse chose to produce Sweany rather than his Ohio-born, Nashville-resident brethren, The Black Keys. Sweany explains, "It's fairly obvious that a good deal of this album is dealing with grief, loss, and its aftermath. It's really pushed me to make the record about the resilience of people who love each other."